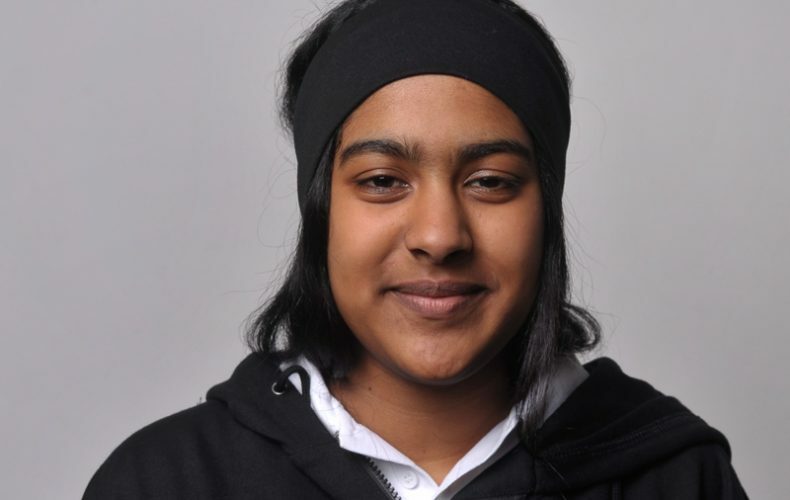 While Laaiqah Taliep, a Grade 12 learner at St Cyprian’s School for Girls and Allan Gray Scholar, is technically no longer a babe, she’s sharing wisdom that is well beyond her years. A video she recently created to promote awareness about water misuse and its effect on climate change has already garnered 4 000 views and is likely to continue doing so. A lot of technical skill and empathetic understanding went into creating Laaiqah’s very poignant animation. It’s clear that she appreciates what’s at stake when even one drop of water is wasted. Coming from Maitland, Cape Town, a humble community that is rife with poverty and unemployment, Laaiqah has had first-hand experience of poverty. “I believe that my experiences have moulded me into the compassionate and empathetic individual I am,” she explains. In addition to all the views it has received on Facebook, the video has also been promoted on the CIFF organisation’s Twitter page and website as well as on the Allan Gray Orbis Foundation’s blog. “The video has received a larger audience than I could have ever imagined, and for that I feel truly blessed.” She has also managed to promote it within her school and schools in the vicinity as well as in her home community. The positive comments she’s received so far signals a great future for this video and the many more she plans to create. Laaiqah started a YouTube channel so that she could upload the video and make it more accessible. She hopes that her message will reach many more around the world. The plan is to upload many more videos that will focus not only water awareness but on many other issues our world is faced with. She also plans on sending the video to more schools in Cape Town and then creating a campaign called One Drop; she wants the youth to get involved. “I hope to inspire more youth to make a difference … I strongly believe that the possibility of change lies within our future leaders.” If Laaiqah Taliep is anything to go by, our country will soon have gems coming more oft out of the mouths of more babes. 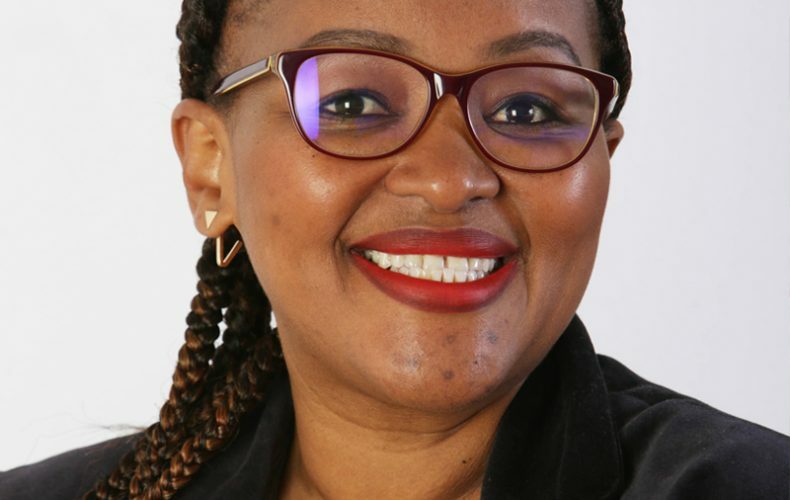 Carol Nonhlanhla Gajana accepted the position of Events and Logistics Coordinator at the Allan Gray Orbis Foundation because of her passion for managing events and her love for working with young people. These two skills have also come in handy in the business she started a little more than a year ago. Soon after her wakeup call Carol started following the healthy lifestyle community on Facebook called SleekGeek. 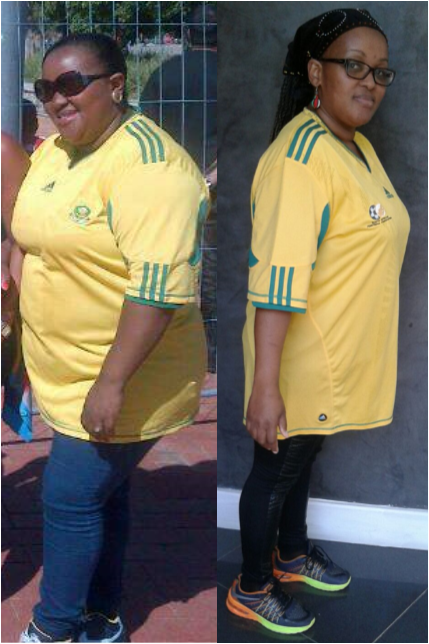 Between January and October of 2014 she managed to lose 6.8kg by cutting out bread, pap, rice and cereals. This was a good start, but she realised that to lose weight faster she would have to commit to the programme 100%. She decided to start SleekGeek Reboot on 3 November 2014. Besides changing her eating habits, she also took to daily exercising before work and in the evenings. Since then she has lost 40kg and now weighs a light 80kg. Carol’s coordinating skills came to the fore when she started recruiting ladies at work to form part of an accountability group. Twelve ladies joined and met during lunch times for walks or Zumba and Taebo sessions in a meeting room. Her endeavours were recognised by the HR department and she was awarded the title of Ambassador of Healthy Living in the Workplace. Because she had to lead by example, she couldn’t afford to fall off the wagon. Before long Carol started a second accountability group – this time for her friends. “I created a WhatsApp group and called it Team Asijiki. We posted what we ate and drank for all meals as well as what we did as exercise. The team quickly grew from 10 to 31 ladies from all across South Africa. These ladies had a particularly hard time cutting out starch; they were mostly Xhosa or Zulu ladies whose traditional food consisted of starch, starch and more starch. However, being part of Team Asijiki, they managed to soldier on. The WhatsApp group eventually morphed into a Facebook group that is now 70 000 members strong. 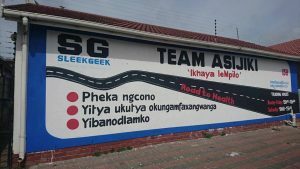 The next natural step was turning Team Asijiki into a business brand. So far she has appointed group administrators who champion team spirit through numerous WhatsApp accountability groups, she’s facilitated workshops across South Africa, she’s been interviewed on numerous radio stations and TV programmes, she’s opened the Team Asijiki Health Shop in Khayelitsha and she’s gotten the buy-in from Dis-Chem Pharmacies. After noticing an increase in sales Dis-Chem agreed to put ‘Asijiki Friendly’ labels on all the products they use. Asijiki packs are also couriered to members in towns that have no Dis-Chem, like Umthatha, Queenstown and Limpopo. Team Asijiki’s 8 week Weight-Loss Challenge has been launched to get everyone ready for Summer 2016. Joining costs R549 and it includes a Reboot Success guide delivered to your doorstep, free exercise plans and a chance to win cash prizes ranging from R4 000 to R10 000 for losing the most weight. Those revellers who prefer enjoying the silly season and starting afresh in January have the option of paying a R100 fee for a 30-day programme that includes coaching on eating clean and exercising as well as regular weigh-ins and lots of group motivation. Know yourself; identify the problems and issues that you want to improve upon. Do different things so you can find what you enjoy – then it will be sustainable. See who else is in the same boat as you and form a forum. See what the demand is and act on it quickly. Global Entrepreneurship Week is the world’s largest celebration of the innovators and job-creators who launch startups that bring ideas to life, drive economic growth and expand human welfare. The global event is anchored by five specific themes: Youth, Women, Cities, Scale-Ups and Investors. This year the Association of Allan Gray Fellows curated a multi-city experience of Global Entrepreneurship Week (GEW). The experience was called Imbizo Junction, so named for its focus on gathering like minds in the same spaces in the city. 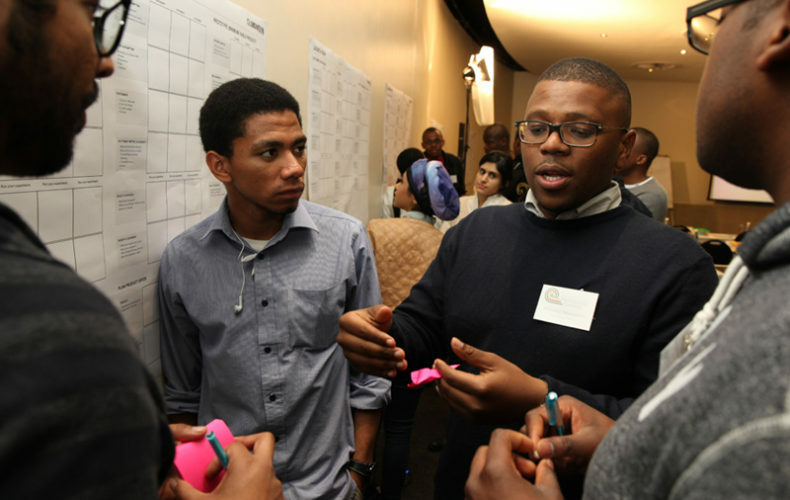 In the spirit of connecting to the wider entrepreneurial ecosystem and strengthening the networks and opportunities for our Fellows, the Association mapped entrepreneurial events that took place during GEW in both Johannesburg and Cape Town. The aim was to map a diverse range of events across the five themes and to encourage Fellows and their own social networks to become “entrepreneurial explorers” in their cities. To this end, the Association produced the Imbizo Junction site – which provided a Fellow-curated event guide that could make entrepreneurial explorations easier and more trusted both for Fellows and the general public. For a first version of this initiative, the site was a hit – 31 000 hits to be exact. Fellows Nkgopoleng Moloi and Adhila Mayet hosted another successful Talk Series JHB on the topic of “Intersectionality in Entrepreneurship”. It was great to see a Fellow-run event on the GEW map. The Association wrapped up GEW with a pitching competition in which Fellows had the opportunity to win seed funding by submitting a business pitch via social media. Candidate Fellow Foyinsola Ogunrombi had the winning pitch and received R5000 to activate her idea. 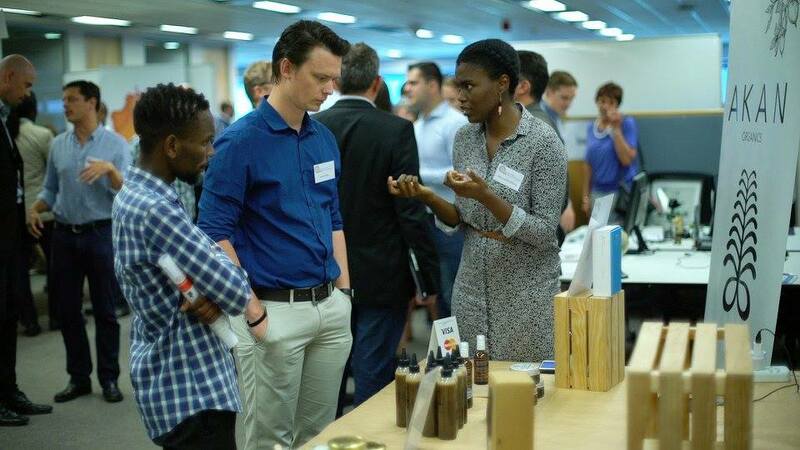 With the Global Entrepreneurship Conference (GEC) coming up in March 2017, we look forward to getting more Fellow-run events and businesses on the map. 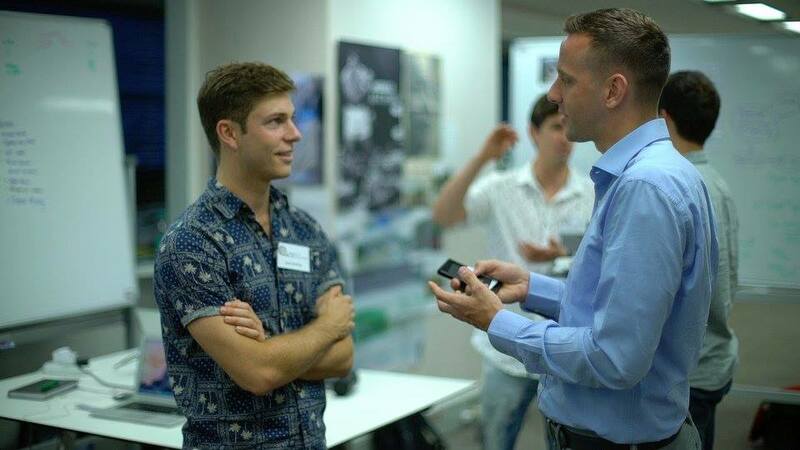 Monday 28 November saw E2 and the Foundation’s first accelerator programme culminate at Demo Day. 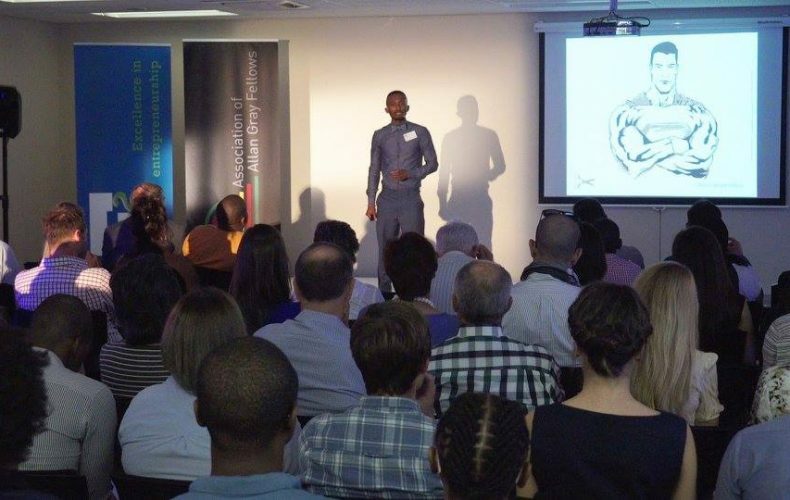 Allan Gray Orbis Fellow entrepreneurs pitched their hearts out to investors, mentors, industry players and family members gathered at the Accelerator venue at Standard Bank in the Cape Town CBD. The event generated such buzz that we were trending #1 on Twitter South Africa for much of the day. Each group was given 8 minutes to display their compelling, fully validated idea and the market traction they have achieved over the short period. Each venture has been on quite a journey to get to this point. Before this programme began, each had progressed through a 4-month part time validation programme which aimed to ensure that the original idea had a probable Solution Market fit (meaning that the problem they identified was actually experienced by an identifiable group of customers, and that those customers were likely to pay to have their problem resolved). 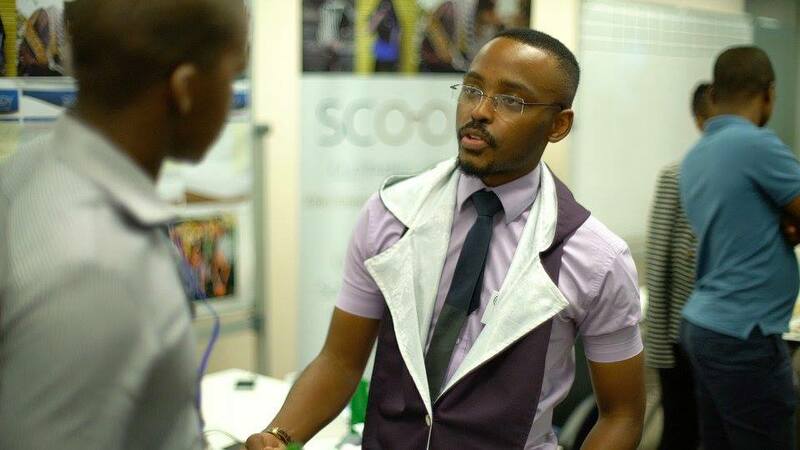 Once this conclusion was arrived at, the Ventures received a R200 000 pre-seed investment and a place on the next step: The E2 / Foundation Accelerator. The accelerator is a 3-month intensive programme aimed at launching companies to market and assisting them in gaining rapid market traction. Start-up Accelerators first emerged in 2005 with the launch of Y-Combinator in Silicon Valley. Since then hundreds of accelerators have started all over the world with great interest shown by private and public sector alike, drawn to the potential of these programmes to generate economic development. They aim to facilitate connections with potential investors. Access to further funding, focused around refined pitches at a Demo Day. Despite the great interest shown in acceleration and hundreds of programmes run globally, there is very little research showing the concrete benefits of acceleration. GALI has been formed in reaction to this as a collaboration between the ASPEN Network of Development Entrepreneurs and Emory University. GALI’s initial study, which can be found here, found major benefits to ventures who were accepted into a group of accelerators when compared to applicants who were rejected. A year after the programme, accelerated ventures had seen greater growth in revenues, employees, and most significantly in investment received: accelerated ventures averaging investment of $54,236, while non-accelerated ventures averaged just over $6000. Partner quality improves programme performance. Partners include service provides, experts and mentors. Time spent on programme-related activities lowers programme performance. Most successful accelerators allowed entrepreneurs to spend most of their time working on their businesses. Quality of the applicant pool improves programme performance. Programmes who selected entrepreneurs with advanced education and greater experience were more successful. Networking among cohort members improves programme performance. Emphasis on financial acumen decreases programme performance. High-performing programmes spent less time working on finance, accounting, and formal business plan development and more time on presentation and communication skills, networking, and organisation structure and design. Major other learning we have gleaned from our first Accelerator experiment is that the model has significant room for development to better cater for non-tech focused businesses, and to better fit into an African context. The majority of accelerator programmes have tended to be tech focused. The short time frames are suited to the tech development and launch cycle. Though the basic principles are universally applicable, Lean Start-up methodology around which the programmes are typically built, was initially conceived with tech in mind. This presents a challenge and an opportunity to accelerator programmes with a diverse group of entrepreneurs and ventures. The field of new venture acceleration is in its infancy and there are endless possibilities for innovation and improvement in implementation, especially in creating an inclusive acceleration model suited to diverse African entrepreneurs and industries. Bringing us back to last Monday’s Demo Day, veterans of the entrepreneurial eco-system in attendance commented on the uniformly excellent quality of the group’s presentations, and were amazed that such a diverse group of businesses could all have come so far in such a short period of time. But this is just the beginning. As you might imagine, though this programme has now come to an end, this is only the beginning of the journey for the 9 new ventures. There is a long road ahead and the Association and E2 will continue to provide as much support as possible. This will include the ongoing provision of basic office and business services and access to networks when necessary. We are also anticipating beginning the journey again with a whole new cohort of Allan Gray Orbis Fellows in March 2017.